Crime Watch: Crime fiction as a window on society? Crime fiction as a window on society? There was a fantastic article by Hollywood screenwriter turned licensed psychotherapist Dennis Palumbo in the Huffington Post last week, entitled "Through a Glass Darkly: Crime Fiction as a Window on American Culture". In a thought-provoking and insightful piece, Palumbo eloquently puts into words what many crime fiction fans and afficianados know, but some in the wider population (particularly those in the media, books world, and academia that have a narrow view on 'literature') overlook; that (well-written) crime fiction is about far more than mystery, murder and mayhem - that it can tell us a lot about who we are as people. Palumbo starts with a reference to BONFIRE OF THE VANITIES author Tom Wolfe, who once said that the purpose of fiction was, among other things to chronicle a society's 'status details'. Palumbo extrapolates this as the ability "to give the reader a felt sense of the social, cultural and political realities of the world the novel portrays", before going on to note that crime fiction can do (and has done) this just as well (if not better) than literary fiction. "Usually, this task has been seen as primarily the province of the "literary" novel, such as Wharton's THE AGE OF INNOCENCE, Salinger's CATCHER IN THE RYE, or Updike's "Rabbit" novels," says Palumbo. "But I believe that, in a similar manner, the best crime fiction has been exploring and illuminating the contours of American society for years." Palumbo goes on to discuss how writers like Raymond Chandler, Michael Connelly, Robert B. Parker, Elmore Leonard, and Tony Hillerman have captured the true, and evolving, reality of various people, issues, and places, in their books. "My point is, great crime fiction offers what no sociology text can provide," says Palumbo. "To feel the living, breathing essence of New Orleans, both pre- and post-Katrina, check out the Dave Robicheaux series by James Lee Burke... Just as Sara Paretsky's V.I. Warshawski gave fictional heft to the idea of a strong female protagonist... Since its inception as a genre, crime fiction has both mirrored and commented on society's often-tumultuous change. In short, it told the truth about it." It's an excellent article, that is well worth a read. You can view the full article here. I've always felt that there is far more to (good) crime writing, than many who don't appreciate the genre, give it credit for. It's a view and theme that has found its way into various interviews and discussions I have had with writers and others involved the books industry (publishers, booksellers, reviewers, books editors, and fans) over the past year and more that I have been more heavily involved, as a commentator. I've ended up having some quite impassioned discussions - with many people seeming to share my thoughts that crime, as a genre, can be undervalued in terms of both it quality, and literary and social importance. Last year when I interviewed Scotsman Liam McIlvanney (left), who moved to New Zealand with his family to take up a Professorship at the University of Otago, for an article in the Weekend Herald, he had some interesting things to say on the matter. McIlvanney grew up around writing - he is the son of Scottish novelist William McIlvanney, who was famed for both his literary fiction, and his "Laidlaw" detective tales. Over the years, McIlvanney Jr has published a number of academic works, focused predominantly on his studies of Scottish literature and history, but last year he made the move into fiction. And despite his 'literary' background, he opted for the thriller genre, with his acclaimed debut ALL THE COLOURS OF THE TOWN. "I don’t know if you’ve been following Booker shortlists, but one of the things that people have been observing is that literary fiction seems to be almost exclusively historical fiction – I think all six books that are on the current Booker shortlist are historical novels. And I think there’s something of a notion that literary fiction is sort of detached from the sort of contemporary realities of Britain and so on, and in that sense it’s been left to the genre writers to engage with contemporary society, and hold a mirror up to contemporary Britain and so on. So I suppose that is one sort of distinction between crime and literary fiction at the moment - that crime is engaging with the contemporary world in a way in which literary fiction doesn’t. ... In the case of Scotland you had the added dimension that throughout the 1980s and the 1990s we had a growing campaign for a Scottish parliament – and in that context, you had the feeling that there wasn’t a proper political forum for these issues to be aired and interrogated, and in a sense it was crime fiction that played quite a potent role, in that it gave the reader a place in which those political issues were explored." McIlvanney himself certainly explores a few political and social issues in his debut. ALL THE COLOURS OF THE TOWN centres on Glasgow political journo Gerry Conway, who receives a tip-off about the unsavoury past of the Scottish Justice Minister, one of his best sources. Initially unimpressed, Conway is eventually drawn into a journey from Glasgow to Belfast, attempting to uncover a shocking story laced with sectarian violence and dangerous secrets. The book has received some great reviews thusfar, and McIlvanney is currently working on his second thriller starring Gerry Conway. He also mentioned that future thrillers (not the next one, but after that) are likely to be set in New Zealand, as his protagonist might just follow McIlvanney's own path, immigrating south. A few weeks after I interviewed Liam McIlvanney, I has another interesting discussion about the place of genre fiction such as crime, in the wider world of literature, with psychologist-turned-bestselling author Jonathan Kellerman (left). I was interviewing Kellerman for an article in the February 2010 issue of Good Reading magazine. 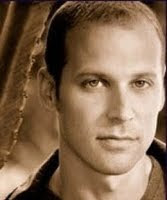 Kellerman, whose Alex Delaware novels have sold tens of millions of copies worldwide, said that he was initially seen as something of a literary darling when his debut, WHEN THE BOUGH BREAKS, came out in the early 1980s (given some of the issues he addressed in that book, and the way in which it was quite different to some other books of the time). But once he started getting wider attention, he was seen in a different light by people in certain book and writing circles, even though his writing hadn't changed. "I kept getting this question; 'you’re such a good writer, when are you going to write a literary novel? ', and I had no idea what they meant – and then finally I figured out that they wanted me to write the same book without a plot." Kellerman, who came across as an incredibly humble, humourous, and down-to-earth guy, given his astounding success, found the perceived divide between 'popular' and 'literary' fiction rather redundant, in many cases. "I think art always needs to experiment, but the whole notion that somehow if your book has a strong sense of story, that it has a beginning, middle, and an end, that it is somehow inferior to a novel where, as someone has said, people sit around talking for ages and then the adolescent doesn’t kill himself..."
"You look at Ruth Rendell, and Ruth Rendell’s writing – I mean, she is one of the great writers of her country. And she uses crime as a vehicle for telling a story, which is what I try to do. I’m not so interested in solving puzzles, although I do have to because it’s expected of me. I like to characterise, I like to write about important things that are important to me... And with a crime novel, crime is really just used as a catalyst to get things going – and how I view it, also I like to write about important things and I don’t think there is anything more important than life and death." I actually interviewed Kellerman just a day or so after I'd met another LA-based crime writer, Gregg Hurwitz in person. Hurwitz was visiting New Zealand as part of a promotional tour for his then-latest thriller, OR SHE DIES, and I was fortunate enough to get to chat about life, and crime fiction, with him over lunch after an event at the Takapuna Library. Hurwitz was a scholar-athlete (studying Shakespeare) at both Harvard and Trinity College, Oxford. He worked on his first novel while studying, and in the decade since his debut THE TOWER was published, he has written 11 more acclaimed thrillers, as well as several screenplays, graphic novels, and academic articles on Shakespeare. You can read my review of OR SHE DIES, here. In both his appearance at the Takapuna Library, and in our chat over lunch, Hurwitz discussed how 'classic literature' has always been plot-based - commenting on life and reflecting society through the prism of an exciting storyline. He noted that Shakespeare himself was a popular writer, penning plays that had comedy, social commentary, and layers of meaning for both the royals and the peasants in the audience. "MacBeth is really a gang story," he said, comparing it to a modern day Mafia tale. Other Shakespearian tales were equally filled with violence, murder, and crime - but at the same time, they said contained insights about people and society. The same holds true of other 'classic' books and authors, said Hurwitz. It is only in more recent time that some have tried to elevate 'literary fiction', which is a genre in of itself, into an inherently 'superior' genre. You can see and hear a few more of Hurwitz's thoughts on such matters in a Radio New Zealand interview with Hurwitz HERE, and his appearance on TVONE's Close Up programme (which follows the 6pm news) HERE. The comments of Palumbo, and modern crime writers such as McIlvanney, Kellerman, and Hurwitz, echo the thoughts of groundbreaking Swedish crime writer Maj Sjöwall, who along with her partner Per Wahlöö, wrote the influential Martin Beck series in the 1960s and 1970s. Modern-day Swedish crime writer Arne Dahl has called Sjöwall and Wahlöö “the actual parents… of the Swedish crime fiction genre that is still the strongest today: the police procedural that has a perspective of social criticism”. Sjöwall herself told the Wall Street Journal in May last year (Wahlöö died in 1975) that although the pair were writing entertaining stories, their “intention was also to describe and criticize certain changes in our society and the politics of that decade”. So whether it's the 'social critics' of the Swedish crime wave, Scottish writers such as Ian Rankin addressing changes in their contemporary society, or Americans such as those noted by Palumbo (and more) holding a mirror up to the world around us, it seems there is plenty of evidence that perhaps crime fiction is fairly important, not just in terms of providing entertainment, but as a commentary on our times. That it can be about more than merely solving a mystery. So, do you think crime fiction is about more than just page-turning plots? More than just frivolous fun, and a distracting diversion from our everyday lives? Can the best crime fiction tell us something about ourselves as people, and wider society? Does it address issues that perhaps other types of writing avoid? Thoughts and comments most welcome. Of course the best crime fiction is about more than page-turning plots, but it should always entertain and inform rather preach. Jonathan Kellerman is dead right when he identifies the lack of plot in much modern 'literary' fiction, but crime fiction can offer so much more than a whodunit puzzle plot, such as great characters, suspense, humour, excitement (pace) and unusual settings, either physical or historical. The one consistency is the "crime" at the heart of the story. And if you want to know how crime fiction reflects society, you can do no better than read Colin Watson's wonderful book "Snobbery With Violence" (which coined the term 'Mayhem Parva' to describe the Agatha Christie school of detective story). Published in 1971, "Snobbery" says more about British society in the first half of the 20th century than a library of sociology textbooks. And if you haven't read William McIlvanney's "Laidlaw" then you really should as it is a masterpiece and the keystone of the explosion of Scottish crime fiction which took place in the 1990s. I am glad you mention Ruth Rendell. In my opinion she is an excellent example of the British writers who offers so much more than a mystery. She has written several novels in which she explores issues such as abuse of women, illegal immigrants and environment without preaching but still with a message. Crime fiction offers so much more than a who dunnit? or how dunnit? Like all good fiction it requires great plot and characterisation and it needs to reflect the society of the time. "...I continue to find the crime novel the perfect vehicle for a discussion of contemporary issues in the most unflinching terms. After all, the detective has an 'all areas pass' to every aspect of the contemporary urban scene, and this is a way for the crime writer to take the reader into forbidden territory..."
"People are interested in crime fiction because they are fascinated by the margins of the world, those places where society's rules break down." When writing crime fiction I am always mindful of what I'm wanting to say about people and society, in fact it is always one of the underlying motivations for me. Hi Craig, great post! You have put down a lot of thoughts I have had recently as a (traditionally) non-crime fiction reader. In the last 6 months I have discovered Barbara Vine and I was blown away by the strength of her writing. I am now reading more of her and am on the look out for some Ruth Rendell also. So I was really pleased to discover that my low expectations of crime fiction are being pleasantly proven incorrect by some great new-to-me authors (hopefully in the near future to include Vanda Symon, who I'm becoming more and more keen on reading!). I've always thought that Dennis Palumbo Dennis Palumbo is great when it comes to writing articles ... And this time was no exception!